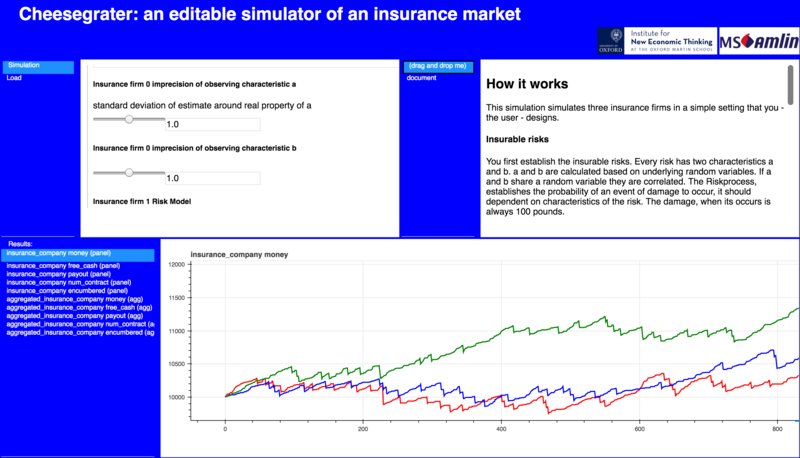 abcEconomics is a Python based modeling platform for economic simulations. abcEconomics comes with standard functions to simulations of trade, production and consumption. The modeler can concentrate on implementing the logic and decisions of an agents; abcEconomics takes care of all exchange of goods and production and consumption. In abcEconomics goods have the physical properties of goods in reality in the sense that if agent A gives a good to agent B, then - unlike information - agent B receives the good and agent B does not have the good anymore. The ownership and transformations (production or consumption) of goods are automatically handled by the platform. abcEconomics models are programmed in standard Python, stock functions of agents can be inherited from archetype classes (Firm or Household). The only not-so-standard Python is that agents are executed in parallel by the Simulation class (in start.py). abcEconomics allows the modeler to program agents as ordinary Python class-objects, but run the simulation on a multi-core/processor computer. It takes no effort or intervention from the modeler to run the simulation on a multi-core system. The speed advantages of using abcEconomics with multi-processes enabled. abcEconomics are typically only observed for 10000 agents and more. Below, it might be slower than pure python implementation. abcEconomics supports pypy3, which is approximately 30 times faster than CPython. abcEconomics provides two more additions to the Python language. First of all, agent groups can be executed simultaneously. Secondly agents can interact with each other sending messages (and goods). The audience of abcEconomics are economists that want to model agent-based models of trade and production. abcEconomics does support an accounting framework for financial simulations. abcFinance can be downloaded here. abcEconomics runs on macOS, Windows, and Linux. abcEconomics runs 30x faster on pypy! How to share public information? How to share a global state? How to access other agent’s information? How to make abcEconomics fast? How to load agent-parameters from a csv / excel / sql file?